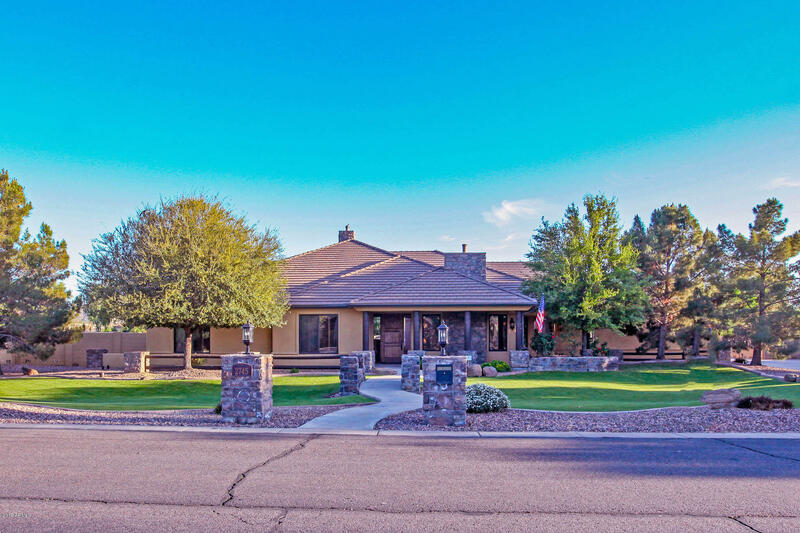 All GREENFIELD ACRES homes currently listed for sale in Gilbert as of 04/19/2019 are shown below. You can change the search criteria at any time by pressing the 'Change Search' button below. "Stunning custom home on just over an acre of land with horse privileges and barn. 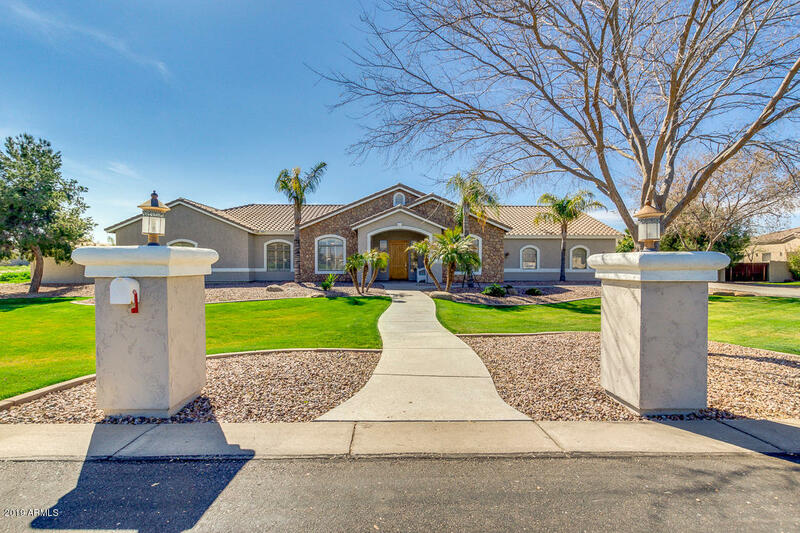 This spacious home features 6 bedrooms, (which includes a dual master with private entrance) 4.5 baths, den, updated kitchen with granite countertops and walk-in pantry along with a theater room! The master bedroom has been updated and has an incredible master bathroom with a custom walk-in closet. Above the garage, you will find 2 offices, a showroom, kitchenette, and 1/2 bath. Access the resort style backyard fr"
"Check out this rare opportunity in South Gilbert's Greenfield Acres! This beautiful custom BASEMENT home on nearly an acre of land is one to see! Amazing resort style HEATED POOL has a water slide, grotto, waterfall and a bridge to a private SPA island! Let's talk garages! The attached over sized 3 car garage is just the tipping point to the additional 1800+ detached garage for your R.V. (Including clean out)boat, cars, Atv's or whatever else strikes your garage fancy! This garage has the sp"
"Wow!! What a stunning home situated on a quiet cul-de-sac acre lot! Recently renovated beautiful 4 bed, 3 bath home with vaulted ceilings, cozy fireplace, formal dining room, plantation shutters, neutral paint, and HUGE bonus room that could be used as game room, family room or 2nd Master. Open concept kitchen equipped with stainless steel appliances, pantry, tile back-splash, large island for prep & breakfast bar, and tons of cabinets. Exquisite master retreat includes private exit, ample walk-"
"If you don't want a backyard neighbor this is the home for you! Private lot,awesome custom home on over an acre with 3 car garage and a detached large RV garage. Enjoy the well appointed kitchen featuring granite counter tops, stainless appliances, pendant lighting, window at kitchen sink to enjoy the beautiful backyard. , Formal dining & living room, split bedrooms and spacious master bedroom retreat with door out back. Kitchen opens to a spacious family room with fireplace. Enjoy the Sparkli"